Commencement is a time-honored tradition that celebrates the academic accomplishments of students. 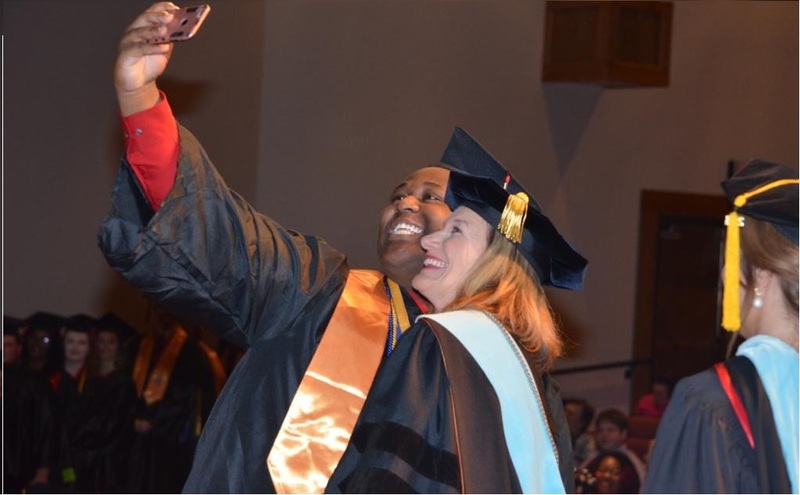 During commencement ceremonies at Arkansas State University-Newport, we recognize the learning, commitment, and effort by our students in completing their degree. This is a special event for the students and for all of those involved in supporting and encouraging them through this journey. There are commencement ceremonies at the end of the fall, spring, and summer semesters. Fall commencement is typically held on the second Friday in December for all ASU-Newport students who completed their academic degrees during the fall term. Spring commencement is typically held on the second Friday in May for all ASU-Newport students who completed their academic degrees during the spring term. Summer commencement is typically held on the first Thursday of August for all ASU-Newport students who completed their academic degrees during the summer term. Students who attended the ASU-Newport Newport, Jonesboro, or Marked Tree campus. Students who are enrolled in, or will be enrolled in, the classes needed to graduate in the fall term. Students who are enrolled in, or will be enrolled in, the classes needed to graduate in the spring term. Students who are enrolled in, or will be enrolled in, the classes needed to graduate in the summer term. Students who are within 12 hours of degree completion and who will complete these hours in the following summer term. Continuous enrollment is defined as a student being enrolled without sitting out a fall or spring semester. If continuously enrolled, students may graduate under the ASU-Newport catalog in effect when they first enrolled or the current catalog. If students enroll after sitting out at least one semester, they may graduate under the catalog in effect when they re-enrolled or the current catalog. Transfer students must have earned at least 15 credit hours at ASU-Newport to receive a degree or a technical certificate with a cumulative GPA of 2.0. Please Note: Students do not have the ability to choose which commencement ceremony they participate in. Students are expected to attend the graduation ceremony during the semester their degree is to be awarded. Click here to access the Intent to Graduate Form. Commencement Practice: Fall commencement practice will be held on December 13, 2018 , from 10:30 am - 12:00 pm at the ASU-Newport Center for the Arts. All graduates are encouraged to attend the practice. In addition to the graduates, all appropriate faculty and staff are required to participate. Commencement Practice: Spring commencement practice will be held on May 9th, from 10:30 am - 12:00 pm at the ASU-Newport Center for the Arts. All graduates are encouraged to attend the practice. In addition to the graduates, all appropriate faculty and staff are required to participate. Commencement Practice: Summer commencement practice will be held on TBD, from 10:00 am - 11:30 am at the ASU-Newport Center for the Arts. All graduates are encouraged to attend the practice. In addition to the graduates, all appropriate faculty and staff are required to participate. Capping and Pinning ceremonies are held to honor students who are graduating from Practical Nursing and ARNEC. Students graduating from these programs MUST attend the Capping and Pinning ceremony and are encouraged to attend the commencement ceremony. Note: If you are graduating with honors or a member of Phi Theta Kappa, please order your chords from Browns or talk to your club advisor. At Commencement, graduates who have a cumulative 3.8 GPA (at the time of commencement), and will complete an Associate’s Degree or Technical Certificate will be awarded the Chancellor's Award for Academic Excellence. Diplomas will not be distributed during the commencement ceremony. We plan to start mailing diplomas to students (who have been cleared and have a zero account balance) within 15 business days after the commencement ceremony. Confirm with your academic advisor that you will meet all of the requirements. Complete and submit the Intent to Graduate form. Complete your post-graduate placement survey. If you have any questions, you may contact at .